Just listed! 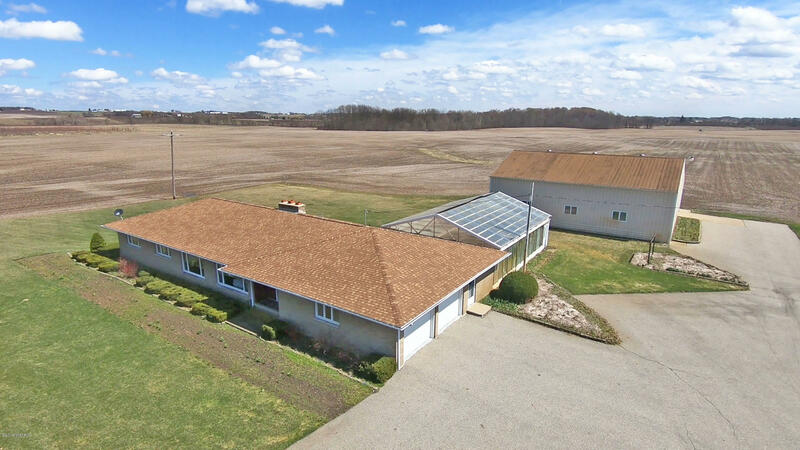 3 bed/3.5 bath ranch on almost 5 acres. Main floor features open floor plan w/large rooms, tall windows let in lots of light, desirable recessed lighting, glasstop stove in island, built-in Jenn-Air grill, 2 built-in ovens, central vac, additional bonus room/office/den and 2 fireplaces. The partially finished over 2, 200sq ft walk-out basement boasts a large rec/family room and rest could be finished to accommodate a 4th and 5th bedroom and additional living area. All kitchen appliances, washer & dryer included. Heated 27'x37' greenhouse w/ventilation and watering system & heated in-ground 20'x40' 10' deep cement pool in part of heated 58'x58' polebarn with Hot Tub/Whirlpool. Property features 2 attached garage stalls, underground sprinkling, Newer roof, furnace and AC, and generator that could power whole house. Open House Saturday 4/20/19 10am-12pm. Offers due Saturday 4/20/19 at 3pm.